Whether you’re getting up to let the dog out a night, you’ve heard a crash and are wondering what animal could be around, or you’re just waiting up for a spouse or child to get home at night, you could make good use of a solar flood light. They’re environmentally friendly, which is great for the earth, but they’re also really practical. Thinking about all these possibilities and sifting through all the options can be overwhelming. For that reason, we bring you a list of the best solar flood lights. We will guide you through every combination of size, power and features that we could find! CYBERDAX’s Solar Powered Street Flood Light takes the cake as the best solar flood light out there. It combines amazing brightness, adjustable settings and one of the longest run times out there. That results in a pleasant, hardworking and useful product that any kind of solar light user can benefit from having. Especially those looking to use a flood light as a security measure will appreciate it. We love the range of settings that the CYBERDAX light has. It consists of two main modes, with many variations on each one. The first is automatic on/off. It relies on a light sensor to make the light come on in the night and go off during the day. The other is a timer, that has the option of three, five or eight hours. In addition, you can adjust to either high light or low light mode within each of those settings. Reviewers also love the light, leaving resounding five-star reviews consistently and happily. Two aspects that particularly shine according to reviewers are the construction and design. They say that it holds up well against weather and wind, and even some mild bumps and falls. Some reviewers use it for lighting up their yard at night to let their dogs out with the absolute fewest steps possible. Others were wanting something to help them see uninvited animal guests in their yard. In both cases, and many others, the light was more than enough for the night. The only gripe that some had is that this light does not have a motion sensing setting. So if they were looking for a motion sensor, they would need to buy additional lights. What is nice, though, is that the solar panel and light are separate pieces. That way, the light can be in a spot that’s shady, while the solar panel gets maximum sun. That is something that many of the other lights do not have. As some reviewers mentioned, the biggest consideration with this solar flood light is that, unlike almost all of the other lights on this list, it is not a motion sensing light. It does not have any option that involves motion sensing. For a bright, security-oriented light, we did not find this to be a problem. But if you are looking for a light that specializes in motion sensing, then a different light from this list would be a better choice. One of the other main highlights of the CYBERDAX light is the brightness. It outshines every other solar flood light that we could find, by a lot. It gives off 5,000 lumens in bright mode which is almost overwhelmingly bright. Another thing to keep in mind is that compared to other lights, it is quite heavy and large. It comes in two pieces that each need to be installed separately. As this light includes a remote, once it is mounted, it shouldn’t have to come down. That is, except in the case of some sort of repair. So we didn’t consider this too much of a problem, either. But it is something that buyers should keep in mind. This solar flood light can also be controlled by remote control, which we love. That is because as long as you are within 15 meters of the light, you have the ability to change the settings. Many of the other lights require the light to be taken down, or at least reachable, to change the modes. So you are essentially stuck with the same mode without a remote. The A-ZONE Solar Motion Sensor Light is the light with the longest run time, by a lot. Its run time, 40 hours, is twice as long as the next closest option on this list. It is also multiple times longer than many of the other ones. It’s also quite a compact, unimposing light. It is simple and easy to install as it comes in all one piece. Being in one piece doesn’t take away from its flexibility, though. That is because the solar panel attached retains some level of adjustability. This light is also quite bright, at 800 lumens. Although not the brightest option, it falls well within the ideal brightness for an outdoor flood light. In combination with the excellent run-time, it is more than enough brightness to keep your space bright all night long. According to reviewers, this light is super easy to install. There are no cords, wires or plugs needed because it is solar, which is one of the things that we love about solar flood lights. Reviewers also consistently were pleased with the default setting. That is with the lights on dim until the motion sensor is activated. At that point, the lights switch to bright. This feature is excellent for those using this solar energy flood light as a security light. That is because the light is consistently providing visibility. However, it will also signal if there is some sort of unexpected movement. We also noticed that many reviewers said that this light looks like a camera. Many reviewers were happy with this design. That is because it adds an extra layer of security. It acts as a deterrent in a security situation. The most important thing to keep in mind with this light is that its beam is very focused. It does not provide light to a very wide area unless mounted very high. For its size, it does this relatively okay. But in comparison to many of the other options on this list, its beam is small. With that in mind, the smaller size of the light and shape is what gives it some of its other advantages. So when deciding about this light, considering how large the area that you’re hoping to illuminate is should be key. Although it does not have adjustable settings, we love the setting that it comes with. That is a constant low light, which switches to the full brightness when motion is sensed. The fact that the run time is 40 hours, even with a consistent light running, is impressive. We believe that this single setting is good enough for that trade-off. It is also one of the most weather-proof options. The compact design in combination with an IP rating of 66 means that it won’t have any problems surviving rain storms, high winds or even snowfall. The Sunforce Triple Head Solar Motion Light has some significant similarities to the previous light. For one, it also provides an excellent wide angle. It uses three lights to reach forward, left and right with the widest angle possible. It locks in as super bright, giving off 1,000 lumens in total. That is again comfortably within the range of what a flood light should be and even on the bright side. It’s the second brightest option on this list and gets the job done of lighting up almost any space. The light has two sections of settings that allow users to take advantage of the different possible combinations. The first section is light duration when motion is detected. The second is range of motion detecting. These two settings allow users to toggle between different amounts of time that the lights will remain on and different distances to detect motion. Most of the reviews were quite simple and to the point, just like the lights. Reviewers pointed to setup, brightness and settings as the high points. The motion sensor also seems to be sufficiently sensitive and actually adjust based on the setting that you choose. Many of the reviews were quite similar, showing that this light is low-maintenance and easy to use. None of the reviews showed consistent concerns about any one issue, although a few did have some very specific problems. There are some things to keep in mind with this light. The most important concerns that we noticed were reliability and durability. The manufacturer did not specify neither the IP rating of the light not did they specify what the expected run time will be. Based on reviewers and other users, the average run time is “all night,” which is helpful, but not necessarily reliable. If you need your lights to consistently last longer than that, then this probably is not the best option. Similarly, it seems that the light is waterproof, and no users reported any specific problems in that regard, but without a specification from the seller, it is hard to rely on that, which is also concerning. One thing we do love is that each of the individual parts of the light are fully adjustable, allowing for them to be angled upward, downward or even more to the side, if necessary. Although this does reduce brightness, it allows for even more possibilities of a space to light up. The key to the LEPOWER Solar Security Light is adjustability. The light is actually three pieces, the solar panel and two flood lights that are actually mounted separately, so as to make their light angle independent. For someone with a large yard, driveway or that might even want to mount the lights on a corner, this is perfect. Adjusting the two lights independently allows the user to cover significantly more distance than any other light on this list, and with a much wider angle. The light is also among one of the brightest ones on our list, falling right in the middle of the ideal brightness for a security flood light. Its two lights combined makes the light even stronger, and ideal for covering the largest amount of space possible. Most customers were really pleased with their purchase, raving about the brightness and the functionality. Long story short, their experiences show that it’s easy to install, easy to adjust and easy to use. 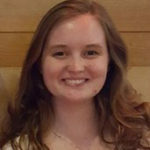 The only repeated concern that some had was that the motion detection didn’t necessarily line up the light’s reach, to be exact, the light reached consistently farther, especially with the extremely wide angle, than the motion detection could. One concern that we have with this light is the run time. We couldn’t get a consistent answer in exactly how long we should expect it to last, and it seems like everyone has a different experience, although most assure that it at least will last through one light. In terms of reliability, this isn’t the most satisfying answer, but for most people, it should be enough. This light comes with two mode options. The first mode is auto on/off at night/dawn with motion detecting, which is the most standard, especially for security purposes. Its second mode, which allows the user to choose to leave it on for an hour, is another feature that we find extremely useful. The second mode can be really useful if the light should double as a security light (using mode one) and a yard light (using mode two), which is an option that many of the other lights do not have. The biggest concern for us was the same one that many reviewers mentioned: the inconsistency between where the light shines and where the motion sensor will detect, which is very important to keep in mind if you’re going to rely on the motion detection for security. 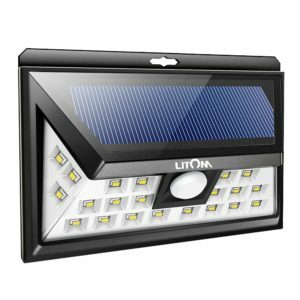 As easy as the previous light’s installation process is, the LITOM Outdoor Solar Light’s installation process is even easier because it is essentially a solar-powered box of light. What we love about this “box,” though, is its simple, effective design. Installing this light should also be a walk in the park, since all the tools needed come included and choosing the place to install it should be quite simple. The light should go in the place that you hope to illuminate, since the possibility to move the solar panel is quite limited. Another thing that we love are the modes that are included with this light. For their simplicity, we believe that LITOM really took into consideration the best possible combination that a customer might want. Reviewers were consistently happy with these lights, and even surprised by their capacity. The size is deceptive, but when it came down to it, the lights blew reviewers away with the brightness compared to size, and the power of the motion sensor, which is very easily triggered. Because of their small size, it seems like many underestimated how bright and powerful the lights can be, but when it got down to trying them, most reviewers found themselves very pleased with the product. There are three modes, which the manufacturer describes as dim steady, dim with bright motion detection and off with bright motion detection. The three different modes appeal to a wider range of users than some of the other products because they provide a combination of steady, motion sensing and both, which is what makes this product unique. One of our disappointments with these lights is that they are not so bright, relative to many of the other choices, even in the highest brightness setting. They clock in at 420 lumens, which is a bit dimmer than the ideal flood light, although they can be fine to illuminate a fair-sized area. Another thing that we didn’t love was that, because of a relatively small solar panel, these lights also have a relatively short run time. At full charge, using the most demanding setting, they might only last six hours, which in most places, means that they will not make it all the way through the night. 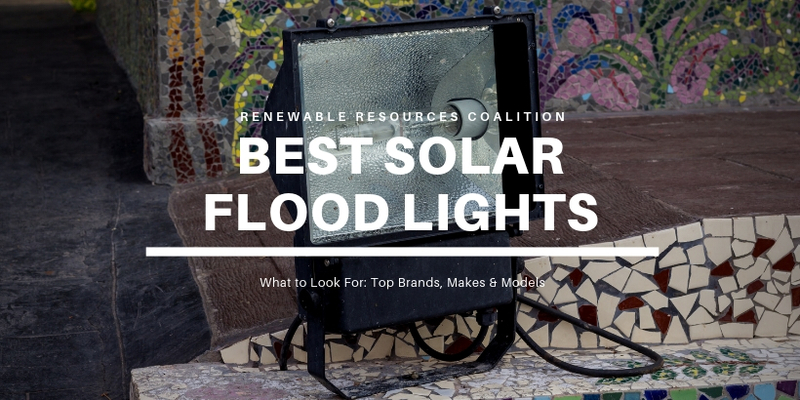 While many of the other options on this list raise concerns about size, reliability or even aesthetics, the findyouled Solar Flood Light shines above the rest. It’s small, lightweight and unimposing, which makes it a good option for those looking for a little extra light. The reliability piece is key for this light – it is well-constructed and small, which means it is made to last through time and weather. The small size also helps make it more visually pleasing and easy to hide if necessary. It’s also ideal for those who have concerns about installation. Because it is lightweight and small, with just a few pieces to install, this solar light is one of the easiest to put up and leave up. It doesn’t need to go any specific place, just anywhere it can be attached. For many people, the best feature with this light is the installation process and the light that it gives off in and of itself. For most it met the expectations that they had based on the information that the product’s manufacturers had provided. 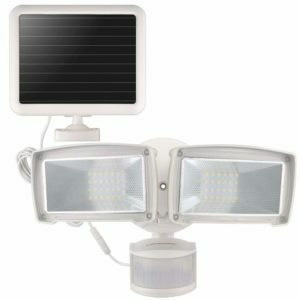 Some reviewers described this solar flood light as more of a spotlight, while others were using it as a flood light to shine as far as 50 feet away. They noted that the angle and placement really makes or breaks this light, so taking advantage of the easy installation to get it into the place with maximum light reach is ideal. What stands out about this light compared to the others is the lack of brightness. Compared to the others, this light is dim, at only 120 lumens. In order to function as a true flood light, there would likely need to be a few other lights included to reach the same level of brightness that just one of the other options provides. This light comes with a stake to be placed into the ground, allowing for a convertible setup. It can act as a flood light, mounted high on a wall, or it can also be staked into the ground, if that works better for the user. Its run time is also consistent, lasting around 6 hours with minimal change in less than ideal conditions. In the best possible conditions, it can last up to 15 hours or even more. If multiple lights are an option, achieving unimposing, broad, mounted lighting with these lights is an excellent choice. They provide reliability and durability that is missing in other choices, so if those are your priorities, this can be an excellent choice. Solar flood lights can be useful to a lot of different people, and all of those different people probably have a different reason that solar flood lights appeal to them. For those who love to manicure their lawns and decorate their patios, solar flood lights are a beautiful option because they cut down on the cords that you have to be running around the space. Those who don’t want to or can’t rely on the main power grid appreciate these, as well. They can be a great way to have light even in an emergency, because all you need is the sun. For individuals, or even small businesses, wanting to go green, they’re also a great first step. Solar flood lights are easy to install, affordable and tend to work well. Anybody that might use a flood light anyway, whether for security or for aesthetics, can also benefit from solar flood lights because of how practical and low-maintenance they are. For everyone, it just comes down to choosing the light that fits their space the best. Once you have those factors in mind, you’re ready to start thinking about the lights in and of themselves. When looking at which solar flood lights out there are the best, we prioritized a few main factors, considering the different ways that the flood lights might be used and what measures could be used to help buyers decide which light is best for them. The following is a list of the factors, which an explanation of how to decide if the light is a fit for you, based on the information that we provide about them. Long story short, we looked for bright lights. 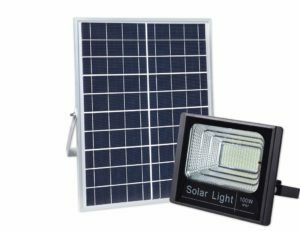 More than any other kind of outdoor solar light, flood lights, especially if used for security, need to be bright, so when choosing the lights on this list, we chose only ones that are suitable to be used as flood lights. There are some that are on the lower side in terms of lumens, but that are meant to be installed with multiple lights, so keep that in mind when browsing the list. See the FAQ for more information about lumens and what brightness level is suitable for flood lights. We considered two main factors in terms of durability. The first was how water-resistant or even waterproof the light is, and the second is whether it is dustproof. In order to get those measures, we considered the IP (Ingress Protection) rating, which considers how resistant to the entrance of water and particles an item is. Surprisingly, the solar flood lights actually varied quite a bit on the scale, which ranges from 1-6 for the first number (resistance to dust) and 1-9 on the second number (water resistance). In both of these, the higher numbers are the most resistant. In general, all of the lights will survive being outside, but we made a note of whether the durability could become a concern in the less resistant options. *Information was not provided by the manufacturer about the IP rating. See review for more information about durability. Run time refers to how long the lights are able to stay on after a complete charge. Usually getting a complete charge requires anywhere between 4 and 8 hours of sunlight. The run time can also vary depending on which setting the light is in, especially for the lights that have many modes. In general, dim settings and motion sensing settings consume less energy and therefore are the best settings for extended run times. The run times that we present are best-case times in ideal settings, and we favor long run times where possible. Each of the different lights on this list has a different combination of possible modes, such as bright or dim and normal on or motion sensing. We favor the more customizable lights, and also the ones that have unique and extra-useful modes, such as the option to leave the lights on dim and have motion sensing to switch them to high. When we talk about reliability, we are referring to how long (as in months, weeks and years) the lights might last and if you can count on them to turn on every single day, no matter what. Often the absolute most reliable lights are the simple ones. How bright should a flood light be? Are solar lights bright enough to be flood lights? Will the lights stay on all night? How do I need to install the solar panels? A lumen is a measurement of visible light. When considering the brightness of a light, more lumens means that the light is brighter. In general, a normal inside house lightbulb is around 800 lumens, although different kinds of lights can vary slightly in lumens. Other kinds of lights will vary even more. The lights on our list range from around 120 lumens to 5,000 lumens, so when choosing a flood light off the list, you’ll have a lot of options. The brightness really depends on how much space you are looking to light, where the light is mounted and what you plan to use the light for. As a very, very general rule, security flood lights should be around 700-1,300 lumens, although lights that are somewhat brighter and somewhat dimmer can also work. Motion sensing lights tend to be somewhat less bright, ranging around 300-700 lumens, although they can, of course, also be brighter. Other sorts of landscape lights or solar pathway lights can be dimmer, especially if you will have multiple lights, at around 50-300 lumens. Absolutely. As we mentioned, the lights on our list range from quite dim to almost blindingly bright. The fact that they are all solar actually has no effect on their brightness capability. The only thing to keep in mind with regard to solar lights vs. brightness is that brighter lights need more energy, therefore larger solar panel kits need more charging time for their batteries, otherwise they won’t last very long. The short answer is that they should. The longer version is that it really depends on what settings you are using, how large or powerful of a battery the lights have and how bright they are. All of the lights on our list need around 5-8 hours to charge during the day to have their full capability, and the capability varies depending on the light. Some can last all night three nights in a row without any trouble, especially in their most efficient (generally dim, motion sensing) mode, while others will struggle to make it until dawn, especially in their most energy-demanding (bright all the time) mode. With some of the lights, the solar panel is attached directly to the light fixture, whether on the top or on the sides. These are the easiest to install. Just stick the light onto the surface that you want it to be mounted to, and you’re good to go. Others are slightly more complicated but have more potential to get more sunlight. Those lights generally have the solar panels in a separate piece from the light. When installing, you need to first install the light, then consider where you can place the solar panel in such a way that it will receive lots of sun. In either case, south-facing is ideal and it is essential for them to not be in the shade.